At LaserTouch SoHo, Dr. Ali Vafa of New York Medical Aesthetics conducts all Botox, dermal filler, radiosurgery, mole and wart treatment, and skin rejuvenation procedures. Dr. Vafa is a Diplomate of the American Board of Internal Medicine and has had extensive training in aesthetic procedures. He specializes in the use of Botox and Dermal Fillers such as Restylane, Juvederm, Radiesse, Hylaform and Captique. Dr. Vafa is committed to being a leader in aesthetic medicine by providing his patients the newest advances combined with the highest quality medical care. 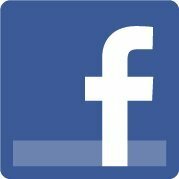 Click here reach to reach LaserTouch Soho and Dr. Vafa. Botox® Cosmetic is a simple physician administered treatment which involves the injection of purified protein into specific areas to temporarily smooth lines, wrinkles and furrows caused by excessive facial movements. Botox Cosmetic is the most popular aesthetic treatment in the world today with over 4 million procedures done last year alone. This is the only treatment of its kind that is approved by the Food and Drug Administration (FDA). Dr. Vafa evaluates patterns of facial muscle movement and looks for moderate to severe facial lines caused by the action of these muscles. The location, size and action of the muscles that create these "dynamic lines" vary among different individuals. Dr. Vafa will mark these locations and administer several tiny injections of Botox Cosmetic directly into the muscles that cause these dynamic lines. The objective is to create a youthful and more relaxed appearance and NOT a "frozen" or "expressionless" look. Each area requires a different number of units of Botox as determined by Dr. Vafa. Note that in experienced hands, Botox Cosmetic can be used for more than treating lines and wrinkles. With injections into specific areas of the face, Dr. Vafa is able to reshape the brows and alter their position as well as slightly round and open the eyes. The procedure is usually comfortable and requires no anesthesia, although some patients choose to numb the area with a cold pack prior to injecting. Downtime is not expected after the procedure and bruising is uncommon. You will notice a marked improvement in days and the results should last 3 to 6 months. Please call (212) 219-1990 to schedule a free consultation with Dr. Ali Vafa at LaserTouch SoHo. Note: Dr. Vafa uses Preserved Normal Saline for reconstitution of Botox which decreases the dyscomfort of the injections. How effective is BOTOX® Cosmetic? A very tiny needle is all that is needed for the procedure. Some patients report minor and temporary discomfort from the injection. This depends entirely on the patient, but a single treatment of BOTOX® will normally be sustained for approximately three months. You will notice a gradual fading of its effects. At this point you will return to your doctor for your next treatment. 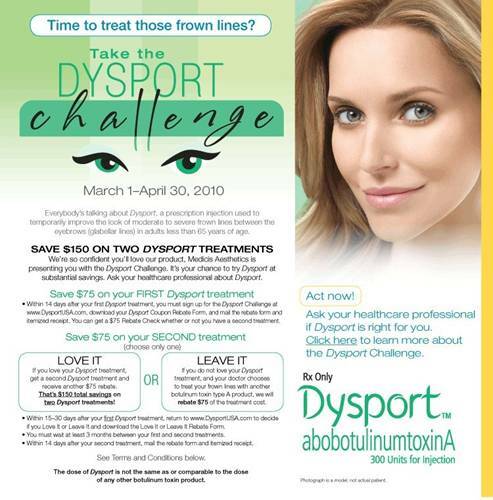 Take the Dysport Challenge and get $150 total savings on two treatments! Dysport is a highly anticipated and newly FDA-approved alternative to Botox. This injectable treatment for wrinkles is made from the same neurotoxin (botulinum toxin type A) as Botox. Dysport received the approval of the U.S. Food and Drug Administration (FDA) for use as a wrinkle treatment in the spring of 2009, and although (like Botox) it was originally developed in Europe in the 1990s to treat neuromuscular disorders, it has been used for smoothing out wrinkles in many countries for several years. Like Botox, Dysport works by treating specific, “wrinkle-causing” facial muscles in order to eliminate the “dynamic wrinkles” caused by the action of these muscles. In the proper hands Dysport can provide a very natural appearing and dramatic improvement in your appearance. Dysport treatments are performed in the comfort of our office. There is no down time with this procedure, and you can return to your regular daily activiteis immediately. Dysport is a medically derived subunit of botulinum toxin called abobotuliunum toxin. This acts as a "chemodenervation" agent, which means that it weakens the muscles into which it is placed. The precise placement of Dysport into specific areas of the face will improve the appearance of fine lines and wrinkles. Dysport works by weakening the muscles of facial expression that insert onto the surface of the skin. Weakening the pull of these muscles, will decrease the tension that they place on the skin, allowing the wrinkles to flatten out. Over time, cumulative benefits are observed as a skin is allowed to remodel without the negative influence of the wrinkle-creating facial muscles. What areas are commonly treated with Dysport? 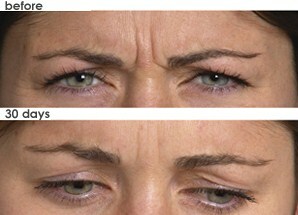 Dysport is very effective in treating dynamic facial wrinkles. The areas most commonly treated by Dysport include the crow's feet (lines around the eyes), worry lines between the eyebrows (vertical glabellar rhytids), and the lines across the forehead (horizontal rhytids). Dr. Vafa also uses Dysport for the treatment of "Gummy Smile" and bunny lines, and to create a brow lift or mouth lift (which is the lifting of the sides of the mouth). How long does it take for Dysport to work? The effects of Dysport are often seen as soon as the next day. In approximately 10 days maximal benefit will be achieved. How long do the results of Dysport last? Dysport lasts anywhere from 4-6 months. If I've had Botox injections before can I switch to Dysport? Yes. Since Dysport acts in a very similar fashion to Botox on a physiologic level, these products are interchangeable. Since the dosing is different, it is important to find a doctor that is experienced in both products and understands the conversion. Botox stopped working on me, will Dysport help? Yes. Dysport is often used to treat patients who have stopped responding to Botox. It can be very effective and beneficial in these cases. Will Dysport make me Lose all facial expression? Absolutely Not! Properly planned, performed and executed Dysport treatment can improve the appearance of your wrinkles and maintain a natural appearance. How long does the Dysport injection take? Dysport injections are performed by Dr. Vafa. The procedure takes between five to 15 minutes to perform. You may return to your normal activities immediately. We ask that you avoid any rubbing of your face. Patients are often apprehensive about the prospect of pain with injection. Dr. Vafa uses special techniques and equipment to minimize or eliminate the pain of the injection. In fact, most patients are often surprised at how little they felt. Dysport is a very safe product that has been used for many years in Europe. Dysport has been approved and used in Europe for many years. In addition, Dysport has passed the stringent guidleines of the US FDA for its safety profile through large clinical studies. 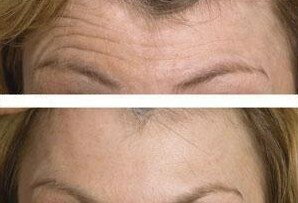 What is the difference between Botox and Dysport ? Since both Dysport and Botox treat dynamic wrinkles through chemodenervation their results are very similar. However, there are potential benefits to both products. Experienced with both Botox and Dysport, Dr. Vafa will help you select which product will be best for you. How long until I see the effects of the Dysport treatment? The effects of Dysport are seen as early as the day after your procedure. This is a benefit of Dysport over Botox, which takes several more days to take effect. Final treatment results will be seen at around 10 days from the procedure. Can Dysport lift my eyebrows? Yes. Dysport, strategically placed, will achieve brow elevation and the apperance of a Brow Lift. Do many people get Dysport treatments? Absolutely. Botox is the most common cosmetic procedure performed. Millions of people safely receive treatments each year. Dysport is becoming increasingly popular and many patients have either started it for the first time or converted over from Botox. Take the Dysport Challenge and get $150 total savings on two treatments! To find out if Dysport is right for you, please call our office at (212) 219-1990 or click here to setup a consultation. Take the Dysport Challenge today! 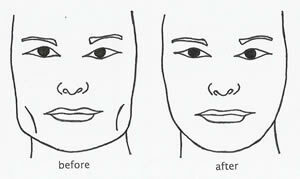 Botox Jaw Reduction procedure reduces the appearance of a wide jaw line by weakening the masseter/chewing muscles. It gives a softer angle to the jaw and a more pleasing facial shape. Who is an appropriate candidate for the Botox Jaw Reduction? Dr. Vafa will be able to best assess your candidacy during a complimentary consultation. Howeve generally, any person who has excessively wide jaws due to large chewing muscles and would like to slim his/her face is the candidate for this procedure. How does Botox reduce the size of my jaws? When Botox is injected into the muscle it partially relaxes it. Underused muscle eventually loses its mass and reduces its overall size. Will I have problems chewing my food? Although rare, few people may experience some tiring after chewing for a while. This phenomenon is only temporary and will go away over time. Since the smallest available needles are used, minimal to no discomfort is felt during the procedure. What is the downtime after Botox Jaw Reduction procedure? As with any procedure involving needles, there is a small chance of mild bruising or mild transient redness at the area of injection. There are generally no restrictions in your activity thereafter. When will I see a difference and how long will the result last? At the end of the first week, you may notice that your jaw line feels softer when. In about 6 weeks you will notice a reduction in your jaw line that will last typically between 6 months to a year and a half. For further information and to schedule a free consultation please call (212) 219 1990. When some people smile, their upper lip elevates too far above their upper teeth, exposing gums and producing an unattractive "Gummy Smile." This phenomenon could be due to several factors. One of the reasons is hyperactive muscle which elevates the upper lip. Occasionally, the gummy smile is also aggravated by a thin upper lip that further contributes to the problem by exposing the upper gum even more. While for most people smiling is an expression of happiness, individuals whose gums stand out more than their smile does often feel self-conscious. Very often those with gummy smiles try to control and minimize their smile and some feel so self-conscious that they prefer not to smile at all. This may have a detrimental effect on one's professional, social, and personal relationships. Thankfully, gummy smile reduction is now possible, simple and effective. Utilizing a non-surgical approach by injecting small amounts of Botox® into the hyperactive muscle of the upper lip, Dr. Vafa will give you a smile that is natural and carefree. This simple procedure will weaken the hyperactive muscles and reduce the elevation of your upper lip, thereby reducing your inhibiting gummy smile. If a thin upper lip is a contributing factor, Dr. Vafa may suggest concomitant upper lip augmentation with FDA approved fillers such as Restylane or Juvederm. Hyperhidrosis means excessive sweating. Perspiration is a normal bodily function, controlled by the autonomic nervous system. Sweat glands are found in the skin throughout the body, however are present in higher numbers in the skin of the hands, feet, armpits and the genital regions. Perspiring is a normal physiologic response of the body when the internal or body temperature rises. This response is characteristically seen with either exercise, or exposure to high environmental temperatures. Stressful situations can also stimulate the autonomic nervous system which then increases sweat production by the glands highly concentrated in the hands, feet, or other regions. In most people, the autonomic response in the sweat glands to stress is not excessive. Unfortunately in patients with hyperhidrosis (approximately 2-3% of Americans), the autonomic stimulation of the sweat glands in response to stress is hyperactive. Botox injections are used to disable the sweat glands. Botox acts by blocking acetyl choline release at the nerve endings that stimulate the sweat glands thus shutting down the sweat process on the injected sites. The effects can last from 6-12 months depending on the site of injections. The procedure when used for underarm sweating has been approved by the FDA, thus giving new hope for people who after failing to respond to topical treatments were compelled to face surgery. Dr. Vafa identifies the hyperactive sweat area or areas with Minor’s Starch Iodine test and then, 10 to 15 sites, approximately 2 cm apart, are injected into each axilla. The whole procedure may take 20-30 minutes including the Botox preparation. 50 units of Botox are usually needed for each axilla. The number of units required may vary depending on the individual patient. Visible results are usually seen in just a few days. Excessive sweating, or hyperhidrosis, is caused by stimulation of the sweat glands by nerve endings which descend from higher centers in the brain. These nerves respond to emotional stresses; like intimate social situations, public speaking, physical stresses, and increased body temperature that comes with exercise or hot humid weather. Most people with excessive sweating are bothered primarily when they are emotionally stressed, physically active, or over-heated. Botox® can prevent sweating for months by blocking the release of the neurotransmitter, i.e., acetylcholine, from the nerve endings, that causes the glands to produce sweat. Fifteen to twenty drops of Botox® are injected via a very small needle into the hair-bearing skin of each underarm. Normal activity can be immediately resumed, while heavy exercise should be avoided for several hours. When will Botox® take effect? Underarm sweating will be decreased by 90% within 48 hours and full effect will be seen within one week. There may be simultaneous disappearance of odor associated with decreased sweating, but this is not consistent. Most patients will obtain the benefit of dryness with one treatment of Botox® for six to ten months. Complications from injection into the axillary skin include tiny bruises which fade in a few days, and small persistent areas of sweating that may need a second treatment. There is no risk of numbness or permanent change in the axillary skin. Aluminum chloride hexahydrate and salts are used in topical antiperspirant sticks, creams, lotions and solutions. These prevent sweating by clogging the sweat ducts in the skin. These products can be irritating with continued use and are largely ineffective in people with excessive sweating. Oral medications currently used often provide relief but can cause dry mouth and blurry vision. Tranquilizers may minimize one's anxiety, but do little to diminish actual sweating. Battery-powered electrical devices that use water, consist of a moist pad and a prickly electrical current held against skin for several hours. Although they decrease sweating in some people, they are time consuming and they need to be repeated on a daily or a weekly basis. Iontophoresis is mildly effective for severe cases. Surgical alternatives include cutting the sweat glands from the skin of the underarms, therein leaving visible scars and permanent numbness of the skin for decreased sweating. Neurosurgeons now use a fiberoptic surgical tube, to cut nerves in the neck which lead to the axillary sweat glands, i.e. endoscopic sympathectomy. Infection, bleeding, and damage to the nerves. Compensatory sweating: When this occurs the body "makes up" for the decreased sweating in the treated area by producing more sweat in other areas of the body. Approximately 85% of patients will experience some degree of compensatory sweating. It is important to note that compensatory sweating does not improve with time and is the main cause of dissatisfaction with the procedure. Gustatory Sweating: Increased sweating when patients eat. Horner’s Syndrome: Presents with unilateral decreased facial sweating, drooping of the eyelid, and enlarged pupils. Pneumothorax: Air or gas can collect in the chest cavity, which may cause the lung to collapse.